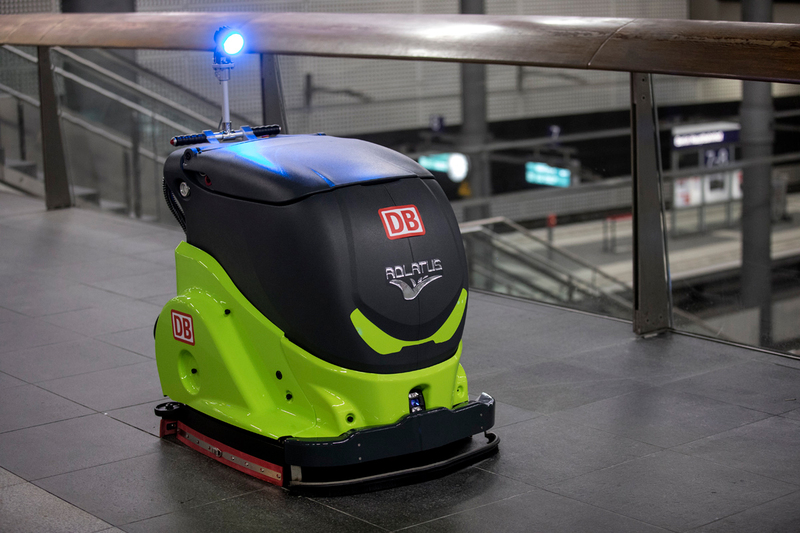 DB Services – the contract arm of Deutsche Bahn, the German railway operator – came up with a novel way of choosing an automated cleaning system to fulfil a huge station cleaning contract recently, as featured on the ECJ website on February 16. It invited four machines to compete against one other on a 200 square metre course. Robots from Diversey, Cleanfix, ADLATUS Robotics and Hefter Cleantech were all entered for the Automated Cleaning Challenge. During the course each scrubber dryer had to deal with a variety of detritus including ketchup stains and leftover chips. The robots’ reaction to people and obstacles were assessed along with their cleaning performance, operational safety and the quality of the finish. The jury panel also considered each robot’s ability to orient itself in the station and its aptitude for optimising cleaning routes. Now the winner has been announced and ADLATUS Robotics has won the gold medal. The prize – a two-year contract to work with DB on the development of automated station cleaning systems.